GTarcade.com is finding growing success with its MMORPG League of Angels on Facebook. The game currently sits at over 445,000 monthly active users (MAU), according to our app tracking service AppData. That’s an increase from 282,000 MAU on March 30. 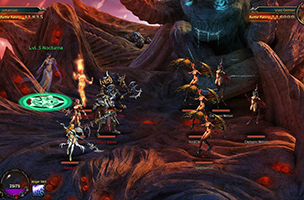 In League of Angels, players take on the role of a Warrior or Mage, and will complete quests to awaken the lost Angels and cure the world of darkness. Players spend stamina to access battle environments, with combat taking place automatically inside battles. Outside of battle arenas, players can interact with other players via the real-time chat menu, as well as multiple NPCs. As players complete quests, they’ll be joined by powerful Angels, whose Astral powers increase players’ attack, defense and health points, among other items. Players can also increase their character’s strength by meeting the blacksmith and equipping new weapons and gear. In addition, players can spend their free currency to upgrade existing weapons outright. The longer players stay within the game, the more “online bonus” rewards they’ll receive. What’s more, players receive additional boosts for logging in each day, and have access to guilds and other side quests to keep them going outside of the main storyline. League of Angels is available to play for free on Facebook. You can follow the game’s continued progress on AppData.